“Tajchy” of Banská Štiavnica are artificial lakes constructed for needs of historical mines. Lack of water amid the mountainous mining locality compelled the engineers to look for solutions. They designed and built a clever water supplying system quite original in Europe . Its purpose was to gather rainwater flowing down the mountain slopes and toconduct it into reservoirs. The water in lakes was then supplied to mines and metallurgical plants where it drove varied machines. The greatest number of “tajchy” was constructed in the 18th century when they were designed and realized by S. Mikovíni, M. K. and J. K. Hell. 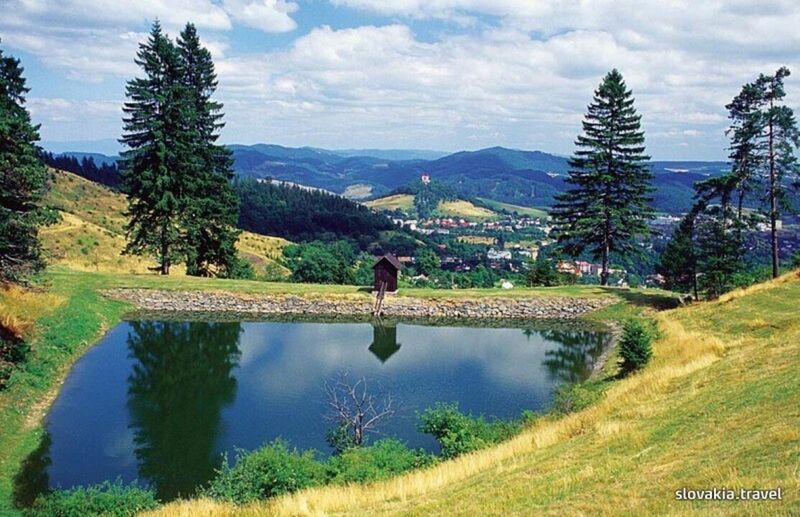 Originally there were about 60 such lakes in the mountains of Štiavnické vrchy. Today only a third of them exist. The largest lake is Počúvadlianske jazero. Its area is 11,73 ha. The highest situated lake is Ottergrundské jazero on the eastern slope of Paradajs Mountain at the sea level altitude of 939 m. Today tajchy do not serve their original purpose, they offer a fabulous summer holiday to fans of camping and outdoor swimming.